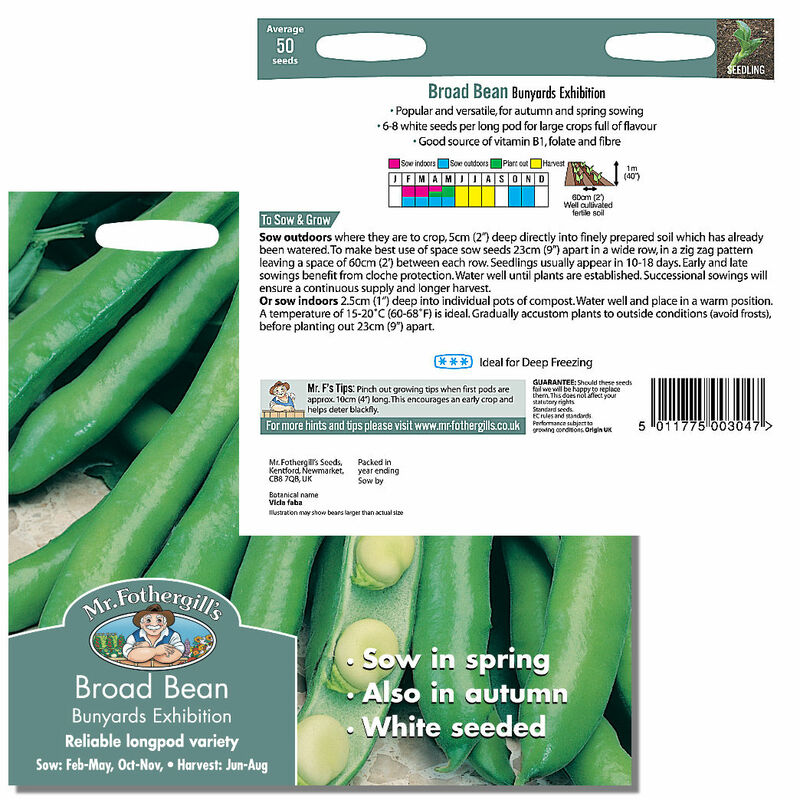 Reliable long pod variety, versatile for both autumn and spring sowing. Average 50 seeds per packet. Reliable long pod variety, versatile both autumn and spring sowing.